Organizing life and surviving motherhood, one late night at a time! This is my husband's favorite crockpot recipe! It is classy, simple and really tasty. I promise I'll post more unique Crockpot recipes in days to come! 4 Boneless Skinless Chicken Breast Halves – approx. 1.5 to 2 lbs. Combine all ingredients in Crockpot. Cook on low for 6-8 hours. Shred chicken with a fork and serve chicken and sauce over rice or angel hair pasta. The consistency and taste of the sauce is sweet and tangy like an Italian barbeque sauce. Katie, it's similar, but has more of an oregano flavor rather than the basil in bruschetta - you could probably switch the two ingredients and have a whole new yummy recipe! Doll Hair Detangler - Updated with recipe! 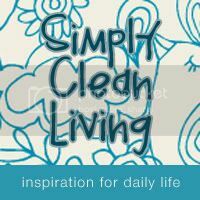 4-Week Cleaning Schedule for Real-Life, Busy Moms! American Girl Doll Versus Generic - Is It Worth It?